I have long since maintained that the genera of the romantic comedy is ruining the love life of the american woman. It starts with fairy tales when we’re young, and we all started to dream about Prince Charming showing up for us on a white horse. By the time we’re teenagers this image is replaced by the male lead in every American romantic comedy ever written. When we reach adulthood it doesn’t seem unreasonable that we should hold out to meet Tom Hanks via e-mail or that a man in a coma could be Mr. Right. 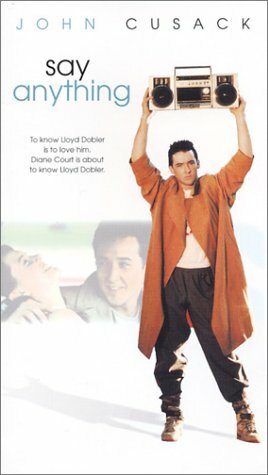 And of course when your relationship hits a snag any man worth his salt will be outside your window with a boom box above his head. The American woman has been conditioned to expect unrealistic Hollywood style results from her love life. My RomCom style expectations for how our adoption would play out were set by possible birthmom #2. She said all the right things, played on all the right emotions, and laid a foundation for how I though our road to parenthood would play out. It felt like we were connecting on a very real level, and made it seem like everything was falling into place so perfectly. Now I know there’s a good chance none of it was what it seemed, but it doesn’t keep me from feeling like that’s how this all should happening. Just as metaphorical sirens started to blare alerting us that situation #2 might not be what it seemed I received an e-mail from another prospective birthmom. Hard as it was since I had grown so attached to #2, I exchanged a few e-mails with her. And as my RomCom unraveled I found us faced with possible birthmom #3. This new woman has sent in her paperwork, met with a social worker, and been consistently drama free. She’s secure in her decision to place, and seems equally secure in her interest in us as the adoptive parents. She’s everything the first two potential birthmom’s weren’t. But I haven’t made a deep emotional connection with her. I find myself numb, unable to feel the excitement that was coursing through me as we got to know those first two woman. I may be exhausted, or jaded, or simply wary that this new woman is still 5 months from her due date. Maybe I have learned to give a situation more time before I jump to the top of those glorious emotional highs. Or maybe I just need to accept that our adoption journey doesn’t have to be the perfectly written poem that #2 seemed to embody. My husband doesn’t ride a white horse or hold a boom box over his head, and my baby doesn’t have to be born to my kindred spirit who becomes my new best friend. My life is not a fairy tale or a romantic comedy. It’s messy and dirty and loud, and this shouldn’t be any different. Given a little more time this woman may prove to be exactly what we’ve been looking for. And hopefully, given a little more time, I’ll get just as excited as I did before. This entry was posted on Thursday, August 4th, 2016 at 7:51 pm	and posted in Uncategorized. You can follow any responses to this entry through the RSS 2.0 feed.